Netflix's "Sabrina" iteration, developed by "Riverdale" creator Roberto Aguirre-Sacasa, looks like a dark coming-of-age series that heavily features witchcraft. So yeah, it's a long way from Melissa Joan Hart's version of Sabrina and tonally it's described as more akin to "Rosemary's Baby" and "The Exorcist". Awesome. Season 1 begins haunting Netflix on October 26. In the freaky new teaser, which dropped on Thursday, Sabrina (Kiernan Shipka) celebrates her 16th birthday with an eerie rendition of "Happy Birthday" accompanied by some pretty weird guests. As the weather outside turns colder, there's nearly nothing that'll get you in a fall mood more quickly than this trailer. The new series has been made by those behind the Netflix hit "Riverdale", although it has been confirmed it will have no connection to it. Annnnd.well, it doesn't sound much like the Sabrina we've been used to. Just like with Riverdale, I'm loving the way this show looks. But man, does this show look scary and fun. Then, right at the end, there's Salem. Ever since it was announced a reboot of Sabrina the Teenage Witch is being conjured up, we've only been getting little tidbits as to what we can expect. 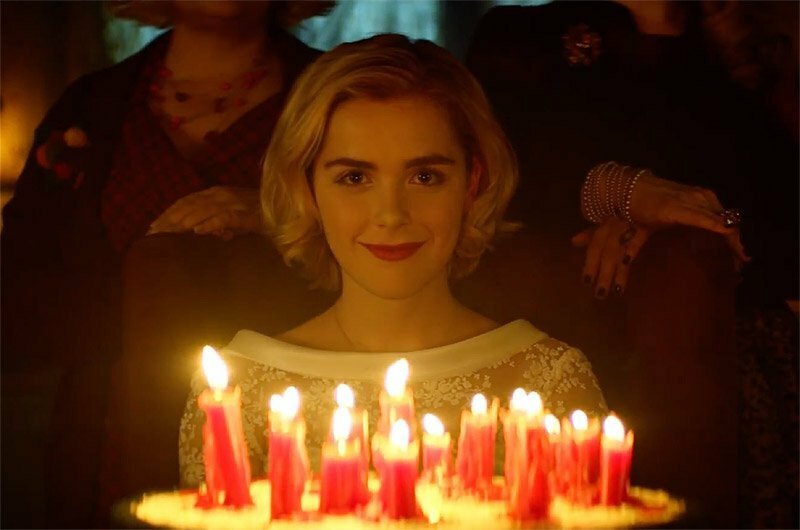 Netflix has debuted a teaser trailer for Chilling Adventures of Sabrina that will likely leave viewers happy the invitation to this hellish birthday party got lost in the mail.